How do you follow up with students and families outside the church who have visited during the VBS week? Do you send a card or letter inviting them to Sunday school? Does your pastor call or follow up with a personal visit? Maybe your church invites them to an upcoming event, like a Fall Festival or church picnic. 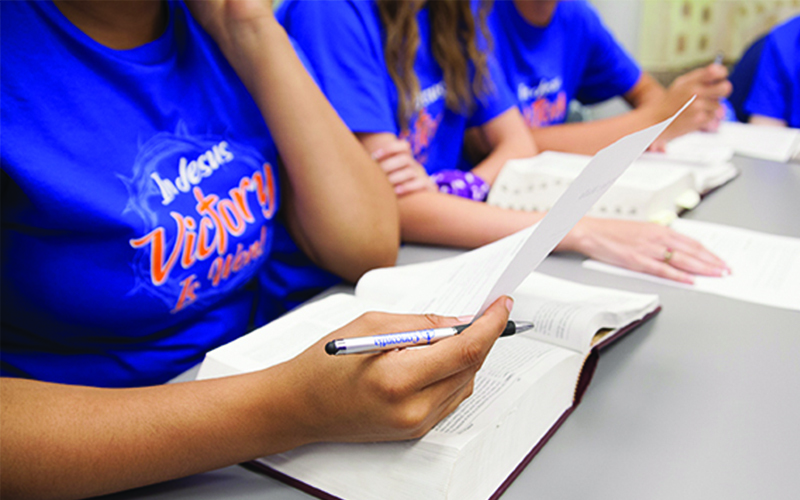 Whatever the case, it’s important to keep all of those VBS visitors connected to your church throughout the year! But how? Here are some tips. In order to keep in touch with your VBS guests and visitors, it’s critical that you first gather their information into one, central location. Without a good list, it will be hard to make sure you’re reaching the right people with information about your church! Before you throw away or file those old VBS registrations, make sure that you convert your records into an electronic format. This allows you to search, compare records year after year, and make follow-up notes. If your church has a church management software, like Church360°, this process can be pretty seamless. Add visitors to your records, then add a note about their involvement at VBS, and maybe even schedule a visit using the pastoral visits calendar. Better yet, most church management solutions help you create lists and send emails to visitors right inside the software! What services or events are coming up at your church that a visitor may like to know about? How will you communicate with visitors? Via letter, email, or social media? Who will these communications be coming from? Your pastor, the VBS director, or site leader? How many opportunities will you have to reach out? Planning your communications strategy helps you to be intentional about the messages you’re sending in each effort. Furthermore, a communications strategy ensures that each visitor has multiple points of contact through a variety of means. As you refine your approach, you’ll see which communications people respond to and improve your plan over time. Fortunately, email and snail mail isn’t the only way to reach out. Inviting visitors to follow your church on social media is an approachable way to engage with them throughout the year. Be sure to add pictures of your events (like VBS) and church services so your visitors get a first-hand look at what your church is like. Even if you don’t feel comfortable friending or following from your personal account, it’s easy to invite visitors to follow your church’s page. If your church has a budget for it, consider running low-cost social ads with helpful information for your VBS visitors. For many visitors, social media may seem less invasive than an email or letter, since they have control over how often they receive updates from you. In addition, social media benefits your church because it allows you to reach people where they are already spending time. If your posts are encouraging, uplifting, and helpful, followers will look forward to communications from your church and are more likely to engage with you in the future. Want to learn more? Our free follow-up communications planning worksheet can help you start planning your communications strategy with visitors this fall.